Foundation Blog Tour by Sassafras Lane Designs! So excited to be a part of the Foundation Blog Tour by Sassafras Lane Designs! When I first received my box of fabrics with every color under the rainbow, the first thing that came to my mind was "I need to make some beautiful flowers!". 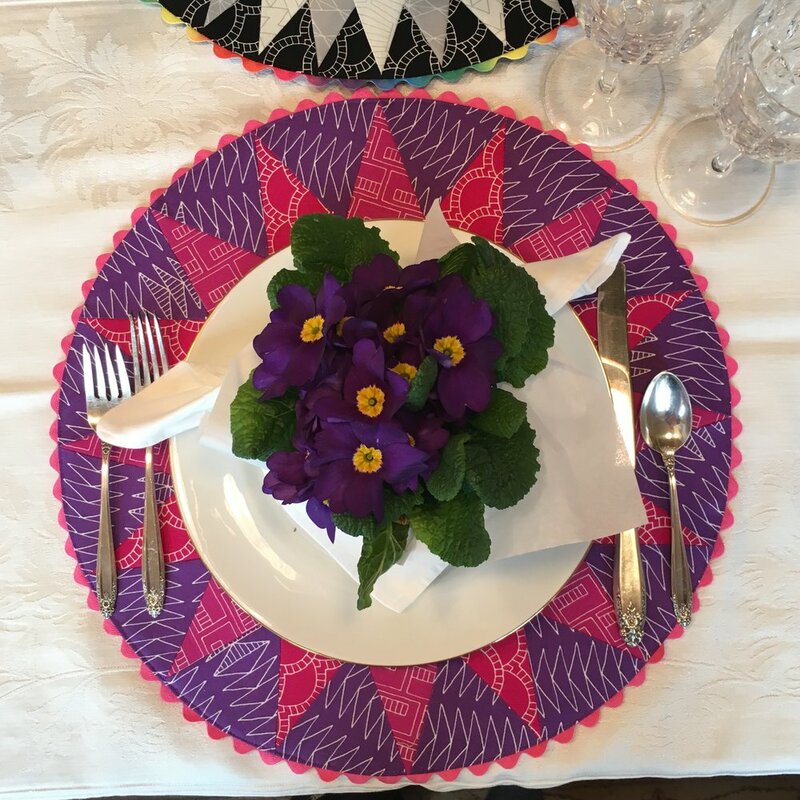 Maybe it's because it's been a little dreary here in the Pacific Northwest, but I thought these colorful placemats would be the perfect thing to add some color to my life! I was so excited when my box of fabric arrived! Which place would you like to sit? I might have gotten a little carried away. Once I started making these, I just couldn't stop. There were just so many beautiful colors to create with! I made a mix of both Skinny Robin and Fat Robin 16-point and 32-point compass blocks and companions. You can make any 16" block you want! Close up view of a 32-Point Fat Robin Compass Sunflower (Version 1). 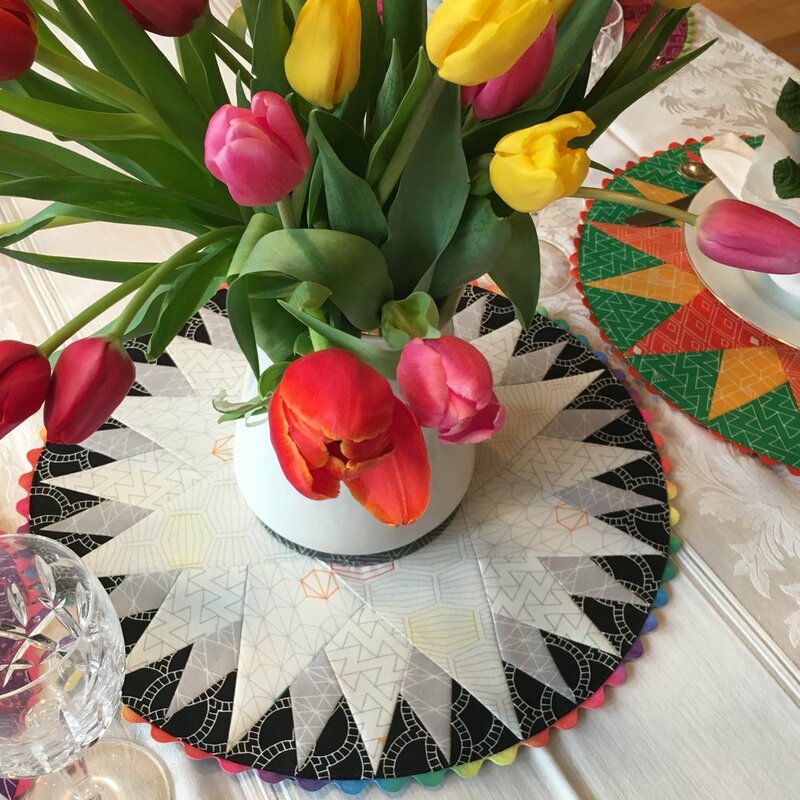 These placemat forms by Bosal were the perfect canvas to put my flowers on! These forms come in a 4-pack. They are available at many sewing and craft shops and will soon be available on my website as well. 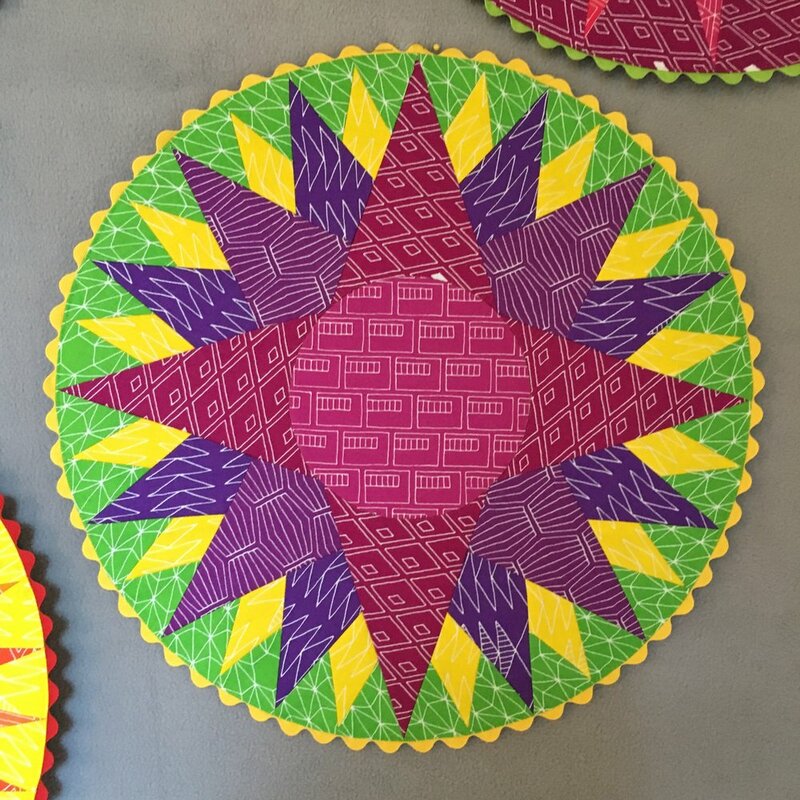 16" Placemat Forms by Bosal! Make your choice of any Skinny Robin or Fat Robin 16" compass block or variation. 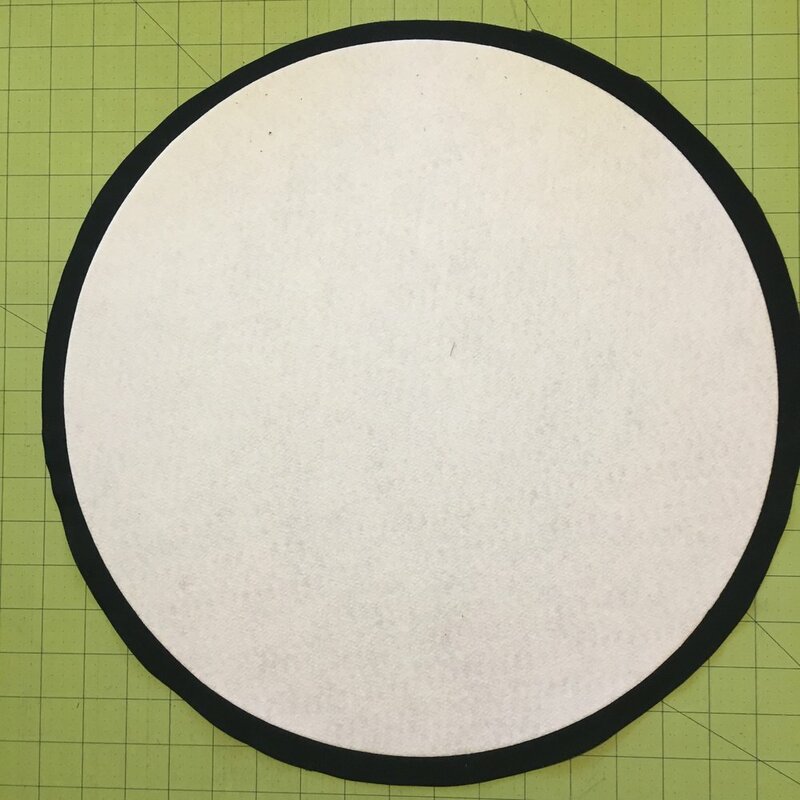 Using the template sheet found in your Skinny or Fat Robin Mariner's Compass Book, make a 16" freezer paper circle. Press it onto the right side of your block making sure it covers all of your points. 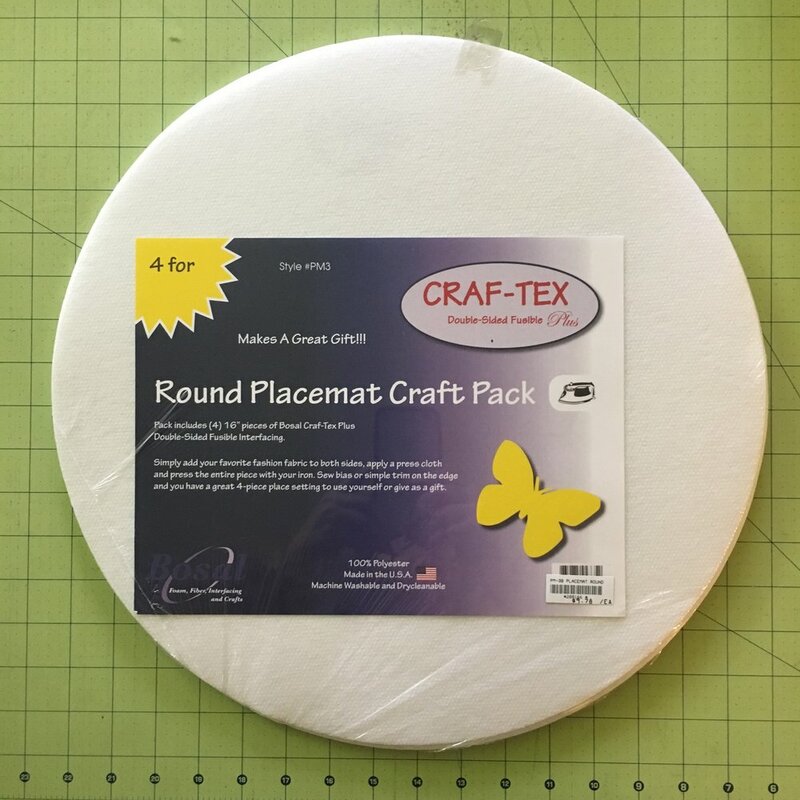 Start sewing your rick rack around the perimeter of the freezer paper, using the freezer paper circle as a guide so your rick rack will end up in a perfect circle. Make sure the rick rack starts and ends toward the outside perimeter of the block. This way the ends will finish to the inside of your placemat. Remove the freezer paper, and then turn the rick rack under so that half of it still shows around the perimeter. 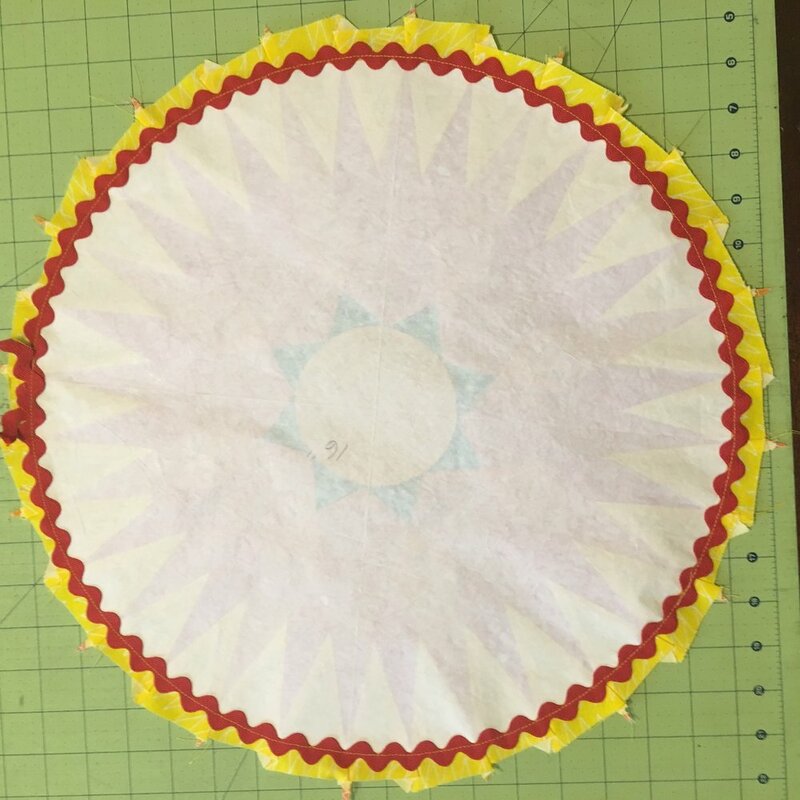 Pull on the rick rack so that you get a perfect circle and press into place. Finally, take your pressed block and pin it onto the Bosal form. 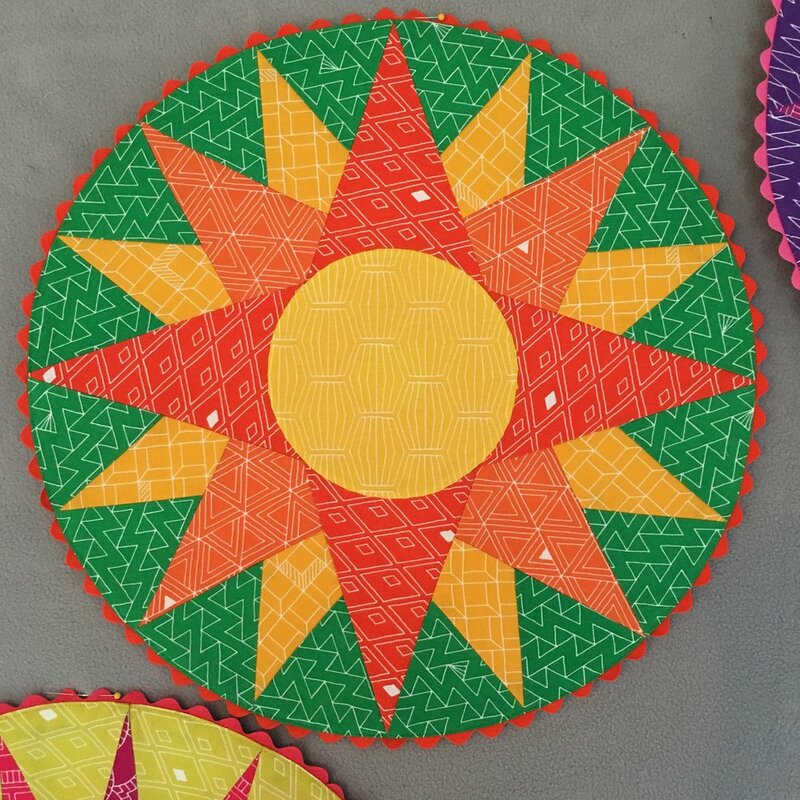 Then just edge stitch around the entire perimeter and you have a beautiful flower placemat! 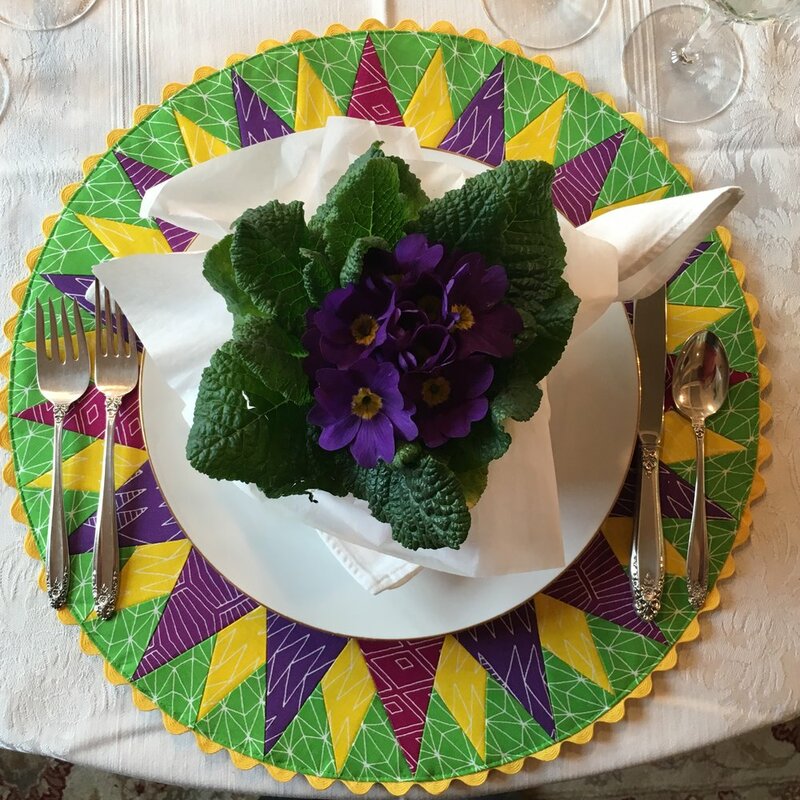 and you are ready for a colorful dinner party! Check out all the other wonderful things folks are making with this beautiful Foundation fabric line! Designed by Sassafras Lane Designs for Windham Fabrics. Had a great day and workshop with this group of lovely ladies from the Camano Island Quilters Guild! Look at all those beautiful compasses! This is Rainbow Lodge where I got to spend the night. What a beautiful lodge and QUILTING RETREAT. This retreat is connected to the online fabric store, Over the Rainbow. 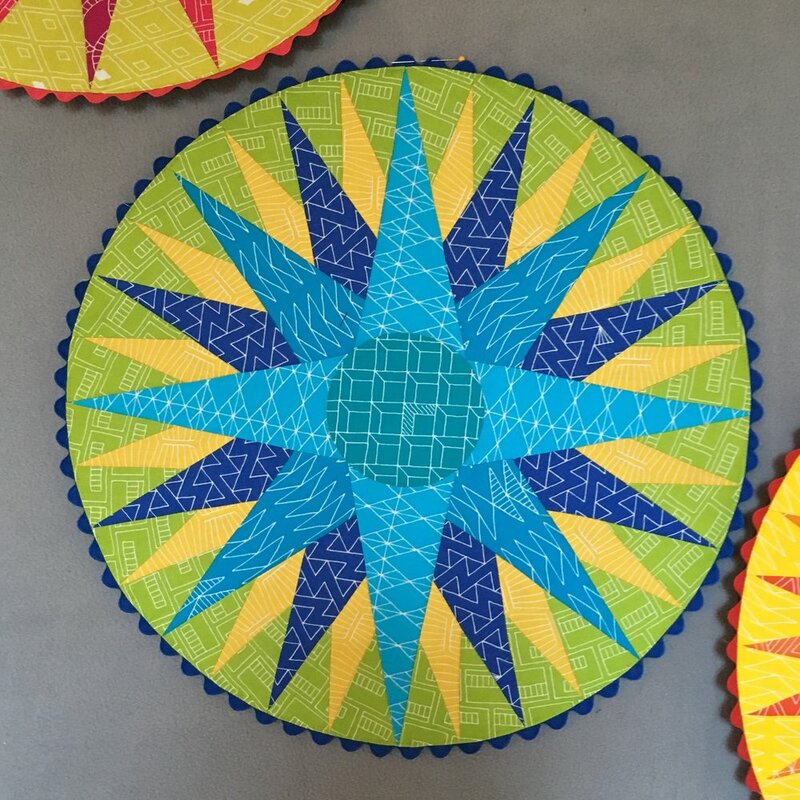 Check out the link below for an awesome spot to spend time quilting or to buy fabric online! And thanks, Mandy, for your hospitality!